Dr. Stephen A. Morgan, Jr. is from New Orleans, LA. He graduated from Jesuit High School in 1992. He went on to finish his undergraduate degree in physics from Millsaps College in 1996. After graduation, he returned home to New Orleans where he attended LSU dental school graduating in 2003. Dr. Morgan and his wife, Amanda, and their three children have made Houma their home since 2005. Outside of dentistry, Dr. Morgan is an avid runner, adventure racer, and Let Me Run coach. 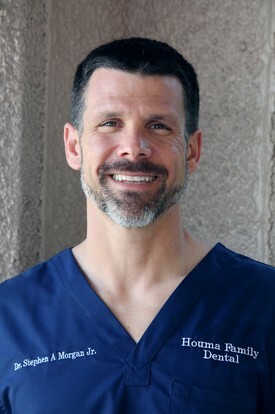 Dr. Ross Cascio was born and raised in Gretna, Louisiana. He has been a practicing Dentist since graduating from LSU School of dentistry in 2007. After graduating from dental school, Dr. Cascio married his high school sweetheart. They currently reside in Metairie with their 3 children. 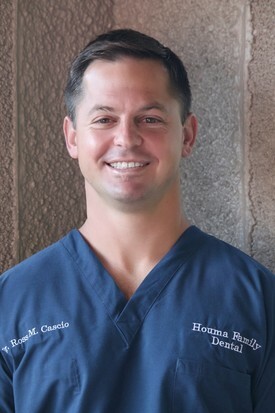 Dr. Cascio has been a member of the Houma Family Dental team since graduating and has loved his time on the bayou. He couldn’t imagine practicing anywhere else. When not improving the smiles of patients, he enjoys numerous outdoor activities and spending time with his family. 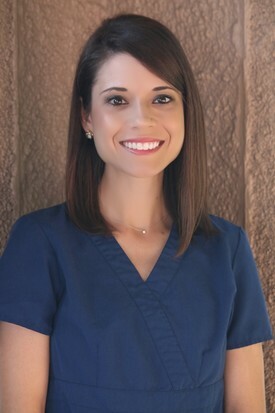 Dr. Rachael Marchand has been with Houma Family Dental for 8 years. She has followed in the footsteps of her father who is a dentist on the Northshore. Dr. Marchand attended LSU in Baton Rouge for undergraduate studies and LSU School of Dentistry in New Orleans for dental school. In her free time, she enjoys spending time with their two daughters, being outdoors, and traveling with her husband. She is an avid LSU football fan! 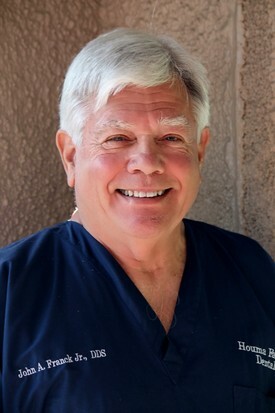 Dr. John Franck is a 1971 graduate of Loyola University School of Dentistry in New Orleans. Dr. Franck and his wife, Karen, reside in Metairie. He enjoys working out, fishing, golf and spending time with his family, especially the grandchildren. Our office has recently welcomed a new Dentist to our family. 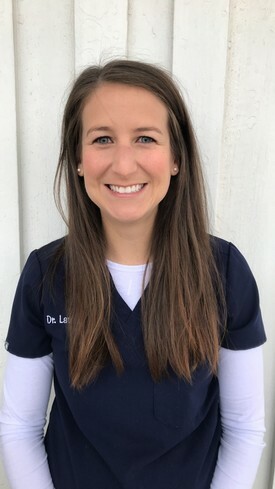 Dr. Lauri Daigle is a 2011 graduate of Louisiana State University School of Dentistry. She is married to Jason Daigle. They have two children and are excitedly expecting the 3rd addition to the family.